Most of you know that I’m allergic to opaque polishes (no, I’m not reeeally allergic, but you get the point ;)), so I added a white base underneath the neons. 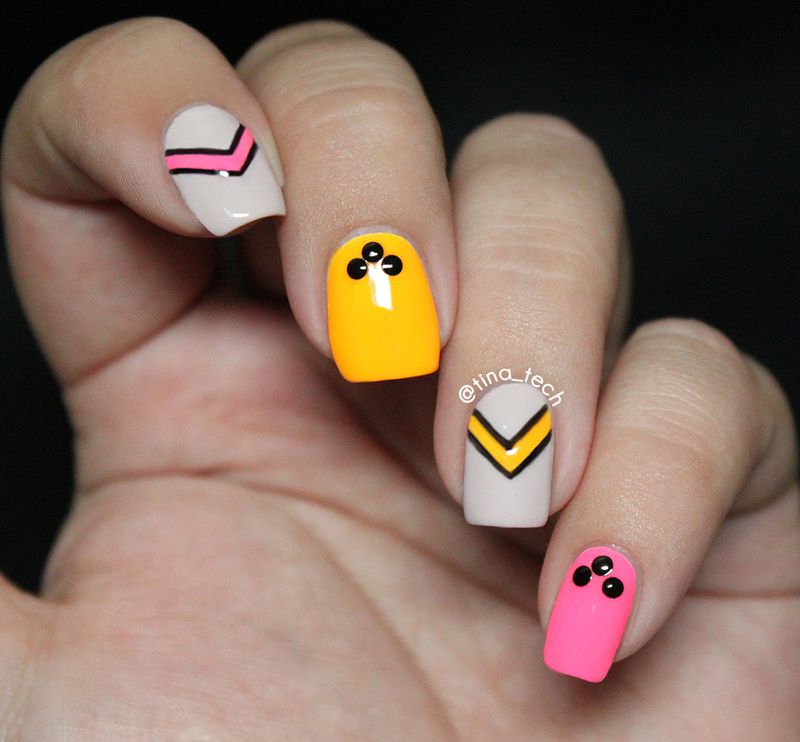 The single chevron is free-handed and the studs were placed with a dotting tool. That’s it! Hope you like the polishes as much as I do, and if you act fast you might get them before they are sold-out here. so bright and fun, i love it! Tina, I love this clean, simple look. Perfect for the end of summer!